MOOCs—massive open online courses—aren’t in the news as much as they were a few years ago when popular MOOCs like Coursera and EdX first arrived on the scene. However, MOOCs are growing. In 2014, 400 universities offered more than 2,400 courses to 17 million students around the world. You might be wondering what the difference is between a MOOC and an online degree program, like the University of Phoenix. For one, MOOCs are truly massive. Thousands of students might be enrolled in a single course. MOOCs are less expensive than online degree programs. Courses are free unless you want to pay for credit and certification. Even then, the cost is minimal. MOOCs are open; they have no admittance requirements. You can take courses from a variety of university professors, perhaps University of Pennsylvania for one course and Harvard for another. There’s a good chance that people in your industry or profession are looking at MOOCs as a professional development option. Once they take a MOOC, like I did, they may well have new expectations for online education. As a lifelong learner, I am constantly honing my digital and content strategy expertise by reading, attending industry conferences like the Intelligent Content Conference, and participating in online discussions. In one such discussions, I learned about a content strategy specialization offered by Northwestern University through Coursera. My specialization consisted of two courses and a capstone project. Grades were based on progress through coursework, discussion participation, homework, and peer review. I reviewed the case study homework of my peers and they reviewed mine. After passing the first two courses and receiving certificates for those, I was eligible to enroll in the capstone project. This final project was meant to showcase and pull from all of the tools and strategies learned from previous classes and was similar to a content strategy project I’d encounter in the ‘real world.’ Passing that, I received my content strategy specialization from Northwestern University. One of the criticisms leveled at MOOCs is the low completion rate. Although 57% of students in the EdX study expressed a desire to seek certification, only a quarter of them actually did. MOOCs are time-consuming university courses. If you don’t have compelling reasons for taking the course, enthusiasm will only take you so far. I speak from experience. When I first heard of Coursera, I enrolled in a history class offered by Princeton University. Since I was taking the class purely for fun, I didn’t have the desire or motivation required to keep up with the heavy coursework. This time, my mindset was completely different. I was excited to take advantage of this unique opportunity—a content strategy specialization offered by a university like Northwestern. Plus, I was taking these courses for my career, my clients, and my company. I was motivated. As more people are exposed to MOOCs, either for fun or work, the MOOC experience will become the standard for many online learners. They’ll expect association online education programs to offer the same advantages. Affordable. MOOCs are free unless, like me, you want a certificate after completing the course. Even then, my courses are far less expensive than similar courses offered by marketing associations or universities—mine were $49 each. Your professional development budget goes much further with MOOCs than it does with other institutions, like associations and universities. Full spectrum of learning. MOOCs offer a wide range of courses covering topics of both personal and professional interest. For example, association staff who wish to bone up on technology topics can find courses in project management, digital marketing, web design, cloud computing, cybersecurity, and data mining. Or, you can find courses in leadership, management, business strategy, math, science, literature, and more. Check out Coursera or EdX for courses that interest you. Flexible. I valued the flexibility of my MOOC experience more than anything else. Busy professionals want on-demand learning experiences that can be accessed at their own convenience. I watched video lectures on my tablet while I cooked dinner, or after putting my daughter to sleep at the end of the day. Micro. When I had a few minutes, I knew I could fit in a short video lecture or read a bit of an online discussion. I could do only a little at a time and still make progress, without disrupting my otherwise busy schedule. Mobile. No matter what device I used, I could tell where I left off in the coursework. When traveling for work, I could squeeze in a few lectures or discussions using my smartphone while waiting to board a plane. Interactive. MOOC courses are interactive. For example, in my content strategy courses, pop quizzes appeared during videos to make sure I was paying attention. 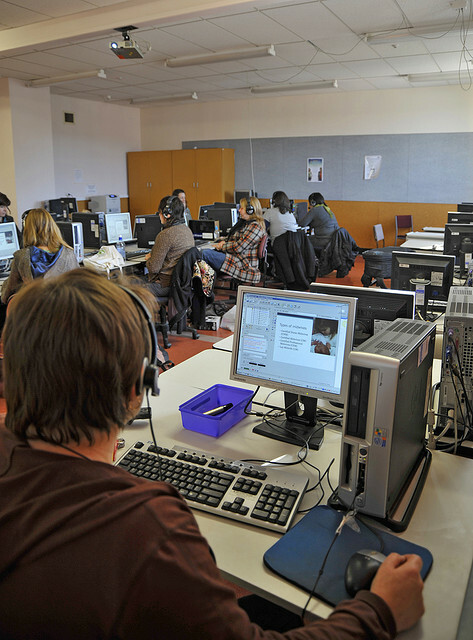 In many courses, students must take quizzes at the end of each week as part of their grade. Social. Online discussion forums deepened my understanding of the content and provided helpful information. Where available, classmates may organize meet-ups. My sister took the course, too, so we were a resource to each other throughout the course. A study buddylocal or virtualprovides accountability and makes the experience more enjoyable. Diverse. The most delightful surprise was the diverse group of peers in my courses. It was fascinating to hear the different perspectives of peers from Germany, Brazil, and Belgium and learn about the challenges they encounter as content strategists. Another surprise came during peer reviews: the level of work was extremely high. Since the content strategy courses I took were for experienced professionals, I found my peers to be knowledgeable and talented. They were professional marketers or consultants who were already doing content strategy for corporations. Their critiques were tough—I had to keep up my game. The long-held mindset that in-person education is preferable to online education isn’t going to last much longer. MOOCs have the instructional design and technology necessary to offer a high-quality education—and they’re clearly attracting smart people who want to advance their professional development. Both younger and older generations are eager to give these affordable, on-demand, and user-friendly online options a chance. In many countries, associations and their credentialing programs aren’t as valued as they are here in the US. Certification is valued, but companies are looking for more affordable options, like MOOCs. As associations rethink their membership models, it’s a good opportunity to consider how online education can fit into membership packages. For example, offer flexible pricing for online education as a benefit of different membership levels. In addition, associations need to ensure that their online education programs are user-friendly and can offer the type of flexible, on-demand, social, interactive, and mobile experiences as other learning management systems (LMS) like those described above. As MOOCs continue to become more popular, your online education programs must offer the same advantages as MOOCs. The competition is getting serious.